Brand – R&R Scaffolding Advert. Media: B2B – Alaskan Business Magazines & In-Flight Publications. 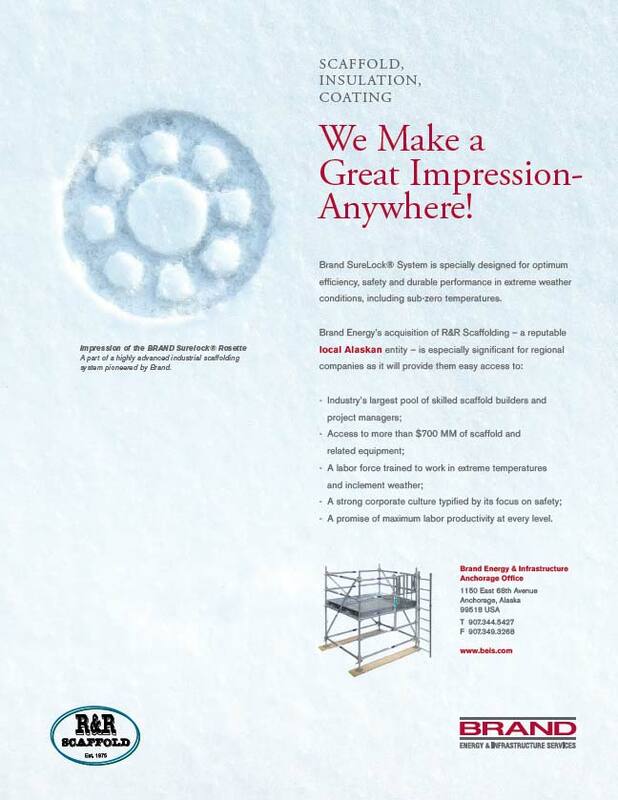 Objective: Inform local industries that BRAND has now arrived in Alaska via its acquisition of R&R Scaffolding – an established Anchorage company. Challenge: Breakthrough perception that its takes a local company to succeed in Alaskan conditions. Solution: Strongly establish, by spotlighting area-specific products, BRAND’s readiness to serve in sub-zero conditions. 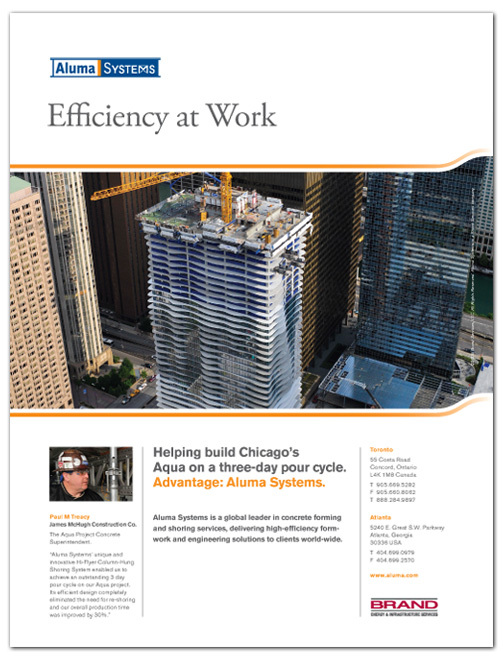 Objective: Showcase the latest Aluma ‘success story’ – the ‘Aqua’ building in Chicago (USA) with a facade designed to mimic ocean waves. Challenge: Tie up the grand success with Aluma’s ultra unique strengths – that made such a feat possible.